Sorry, this lecture has expired and is no longer available. In a world without antibiotics, what will we do? Associate Professor Louis Roller ponders this very real scenario and presents some alternatives to antibiotics that may just see us through this era. With over 1 million people dying from antibiotic resistance in just 16 months last year, this threat to humanity is one that needs to be clearly communicated to every health professional. Associate Professor Louis Roller has been an academic at the Faculty of Pharmacy and Pharmaceutical Sciences Monash University for over 50 years. He was on the Pharmacy Board of Victoria for 22 years and has significantly contributed to many editions of various pharmaceutical compendia, including the Therapeutic Guidelines, particularly the Antibiotic Guidelines. He is the author of hundreds of scientific and professional articles and has a passion for evidence-based knowledge. 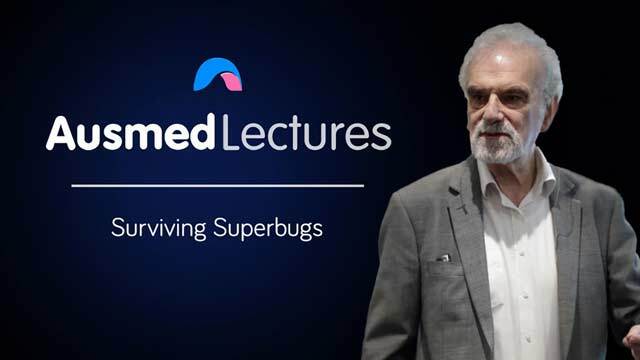 He lectures to pharmacists, medical practitioners, nurses, podiatrists, and optometrists on a variety of therapeutic topics, particularly antibiotics, as well as giving many talks to the University of the Third Age on various medication-related issues. As at the end of April, he had delivered 42 talks to U3A Stonnington and an equivalent number to other U3A groups. With Dr Jenny Gowan, over the last 20 years, he has written articles on disease state management in the Australian Journal of Pharmacy. In 2012, he was made a life member of the Australasian Pharmaceutical Sciences Association and, in 2014, he was awarded the life-long achievement award of the Pharmaceutical Society of Australia. Interesting information, more targeted at RN,DR level. Amazing Louis you're a genius!